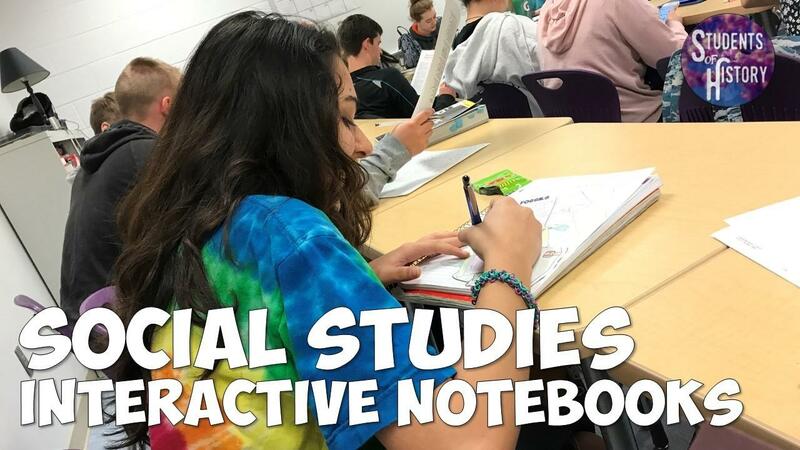 Among my favorite activities to do in all of my social studies classes are interactive notebook pages! I have used them successfully for years in Civics, World, and US History (you can download some free pages using the green download button to the right). History Alive was one of the early leaders in promoting the use of Interactive Notebooks in social studies classes. Now, they have grown to become a staple of many teachers' middle and high school classrooms. And for good reason - they work! Interactive Notebooks and journals are an amazing tool to help students engage with your history content and make better connections with the material. There's also lots of different ways they can be used based on your teaching style and your students' needs/ability levels. Some teachers like to use them as guided notes with their PowerPoints. Students cut and paste the pages into their journals and as you progress through the content in the presentation, students copy the notes into these elaborate foldables. This is a great way to introduce students to interactive notebooks and can continue to be used for students that need more support. I like to have students work on them individually to really make them interactive. We will cover the key concepts of a topic through a PowerPoint, station activity, or reading and then students must organize their own ideas into a foldable interactive notebook page. I help students get started by helping them with the directions (which I also print at the top of each interactive notebook page I assign them) and showing them an example either through a picture (like those you see here) or an actual notebook I have done. Then, students usea reading I provide, their textbooks, online sources, or content in their notebooks we have already covered to complete the pages. This allows them to truly interact with the content and demonstrate their understanding of what we're covering. I move around the room to help students and allow them to finish the pages at home if they can't complete them in class. I find that these types of creative assignments are much more likely to get completed at home as opposed to a worksheet. The pagest he students complete can be graded individually with a rubric, as part of an overall student notebook grade, or go ungraded as just part of the classwork students need to complete for your course. An easy way to grade them quickly is to go around with a stamp as students work on a warm up and stamp the pages after a quick review. Then, collect notebooks during assessments and give them a more thorough look-through. I can usually go through all my students' notebooks while they are testing so they can have them back the same period. As fun and interactive as these pages can be, you also don't want to overuse them and have students become tired of them. I mix in traditional Cornell Notes in their notebooks, guided notes worksheets, and digital Google Drive notebook pages so that students have something fresh each week and the content remains engaging. The curriculum plans I have for Civics, World, and US History all include hundreds of pages of interactive notebooks that you can immediately implement into your classes! Plus there's the digital Google pages, PowerPoints, and everything else you need to make teaching social studies a breeze! 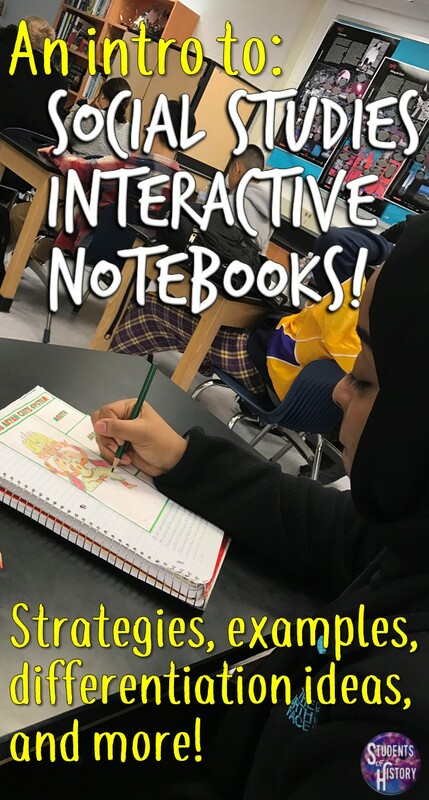 If you want to download some awesome FREE interactive notebook pages click on the green download button at the bottom or top right of the page. There's also digital notebook page examples and a bunch of other awesome resources you can use in your classes!